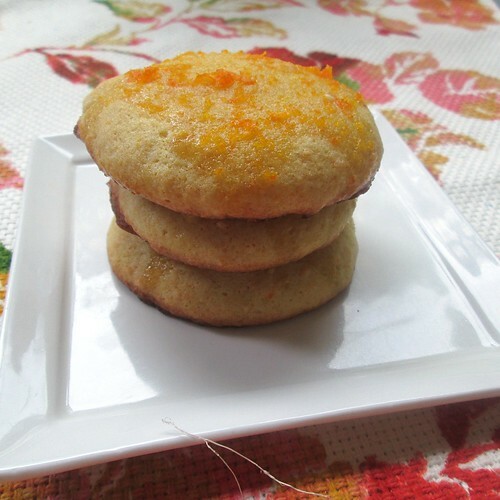 Today I am so excited to finally share this recipe for ORANGE COOKIES! Excuse the caps, like I said, I'm excited. I love all kinds of sweet treats, but those involving fruity flavors are by far my favorite. With that, and #7 on my 23 Before 24 list, in mind I went on the hunt for interesting fruit based desserts. 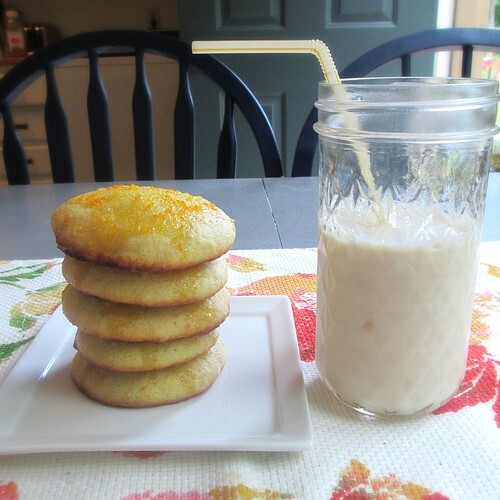 I came across a recipe for lemon cookies that sounded incredible. The more I mulled over the tangy deliciousness of the lemon/sugar combination, the more I wanted to create my own version. You all know I am a Floridian at heart and that means that I had just one flavor option--orange! I used that delectable lemon recipe as my starting point and have spent the last few weeks reworking it to fit exactly what I needed. I was surprised by how difficult it was to truly capture the orange flavor, but after many test batches I think I've finally found the perfect balance. 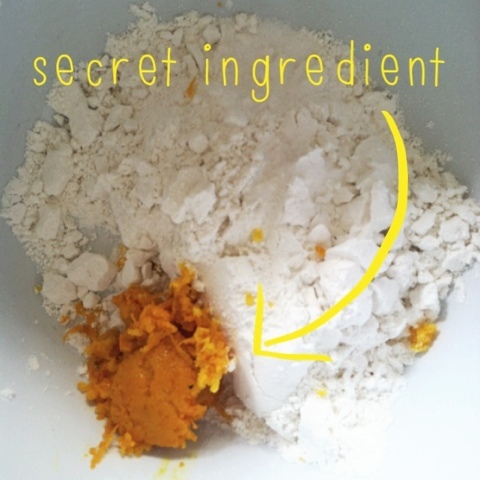 So, without further ado, here is my "secret recipe" for Orange Cookies. First you want to mix your dry ingredients--flour, baking soda, and salt--together and add in your freshly grated zest. The zest was one of the ingredients I struggled to find the right amount for. Two tablespoons is quite a bit, but it's really what gives the cookies their great flavor. Next, in a separate bowl, cream your soften butter and sugar until the mixture is really fluffy. The more you cream the better your cookies will turn out. 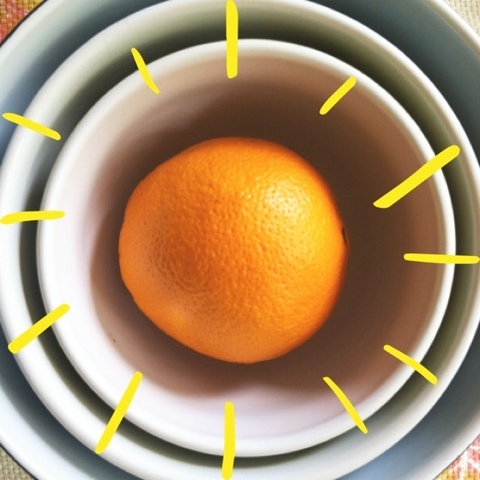 Once the right consistency has been achieved add in the vanilla extract, juice, and half egg. To accomplish this I just used two fingers to scoop out half the yolk and whites. Finally mix in the dry ingredients a little at a time until completely combined. 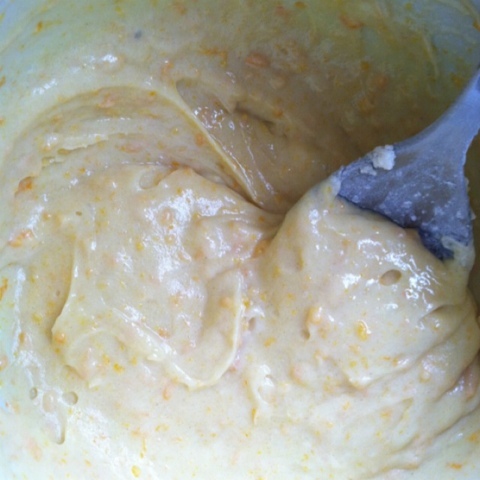 Your batter should have a slight orange tint and be thicker rather than runny. 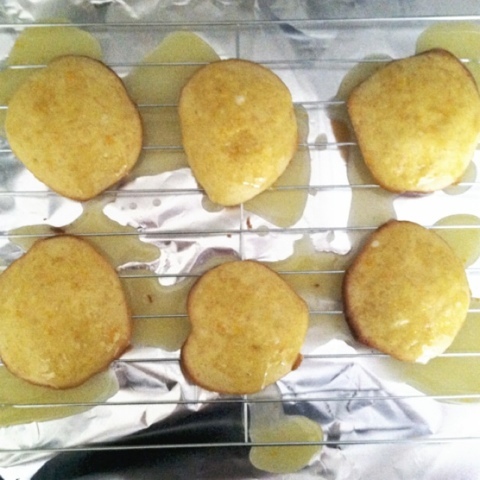 Spoon out 1 tbsp of batter onto a greased cookie sheet leaving 1 inch of space between each. Heat your oven to 350 and pop them in for 10-12 minutes, rotating your cookie sheet after 5 minutes. They should be golden brown on the edges and slightly firm to the touch. While they're baking whisk together 1 cup powdered sugar, 2 tbsp zest, and 1/4 cup juice. When the cookies are finished move them to a cooling rack and spoon two layers of this glaze onto each cookie while they're cooling. Let them cool just until the glaze firms up and then enjoy! I absolutely love how these cookies turned out, and they've gotten top billing from every friend, coworker, and husband that I've made try them. Give the recipe a try and let me know what you think! you should bake a fresh batch and bring them home to florida so that your mother can try them! they sound so yummy!